How’s 2019 going for you so far? We’re in our second month and honestly we think it’s time that you nailed it. Dip nails are the way to go when it comes to upping your game. You deserve it and it really makes working with your hands feel better than ever. It’s a fast application when you’re considering the final product and we offer a wide variety of color, sparkle, and shine. Our future professionals are constantly improving their skills when it comes to added details and style, so you can show a little more personality with every wave. It’s February. Time to come through dippin’. 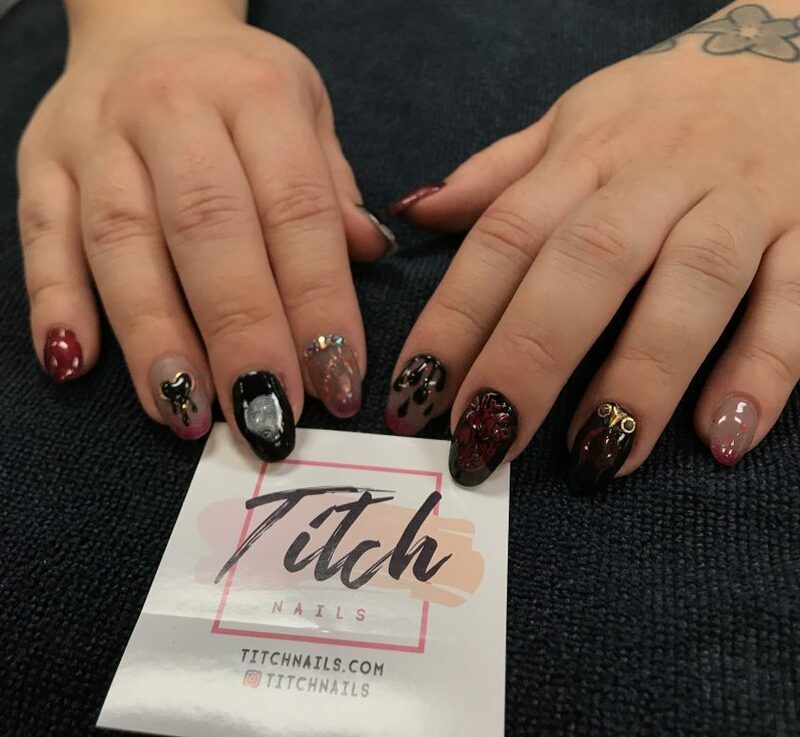 Shout out to Chloe Slater whose nails and dip work are pictured above! At our Springfield, Missouri location we offer a manicuring program. Apply online today! Why Do I Need a License? © TEXT Academy of Hair Design. All Rights Reserved.